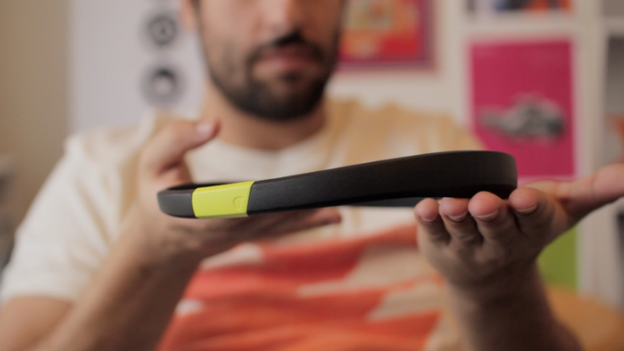 Melon is an EEG headband and mobile app that helps your measure your focus and brain activity. The Kickstarter page sells the headband as having the ability to, "gain insight into how your mind works by tracking your focus during any activity you choose." The headband and app duo works to track activity, environment, emotions, and any other behaviour with EEG wireless brain-sensing. The team at Melon aim to provide personalised insights by providing feedback from the data captured. Games on the app are available such as origami, to promote challenging your mind and games such as these want to achieve longer periods of focus for the user. Melon has partnered with NeuroSky, the leader in consumer EEG technology. The Kickstarter is offering the SDK for iOS and Android apps, as well as access to fucs data, raw EEG data, a list of algorithms for different mental states, and connection to and control of other Bluetooth devices. "Daily life can be complicated, cluttered, and confusing. We at Melon believe that when people imrpove their focus, they feel more mindful, confident, and productive in their everyday lives."